Anniversary Wishes for a Friend | Time to Make a Toast! Today is your friend’s anniversary, and you may be stumped over what words will best relay your sentiments of joy and admiration. 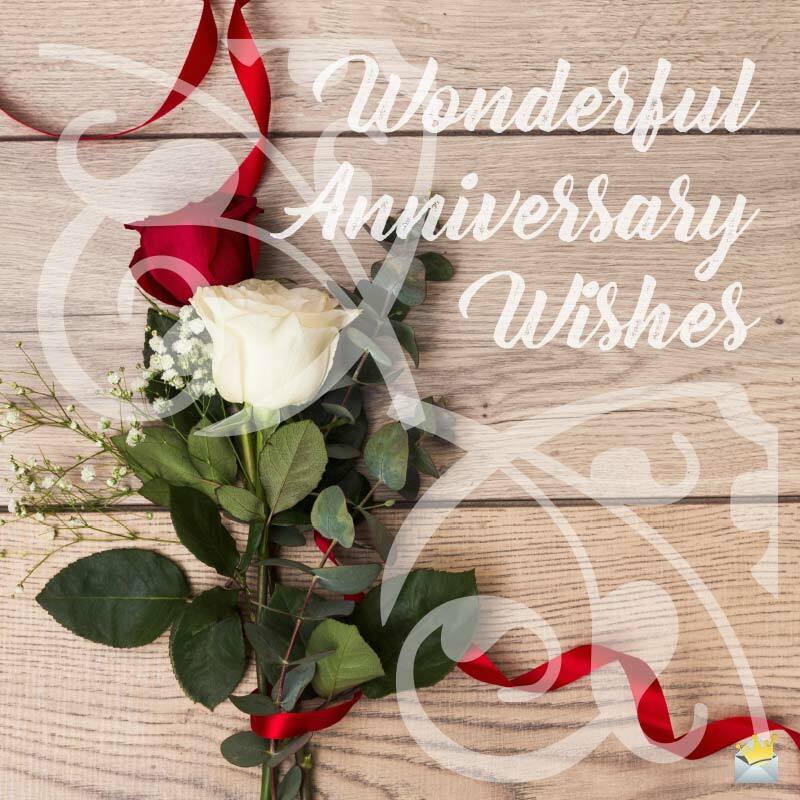 Well, look no further, as we have provided a list of wishes and quotes that we are sure will let your loved one know just how much his or her anniversary means to you! Happy anniversary, and may you experience many more even merrier than this one! Today is the anniversary of your birth, and there’s nothing else I’d rather be doing than showing you some love! This is the first anniversary of hopefully many more to come in honor of your lovely union! He is always in our hearts always, but on this particular day especially, we joyfully come together to remember the life of our lost friend. I wish you the happiest anniversary ever. Your dedication and perseverance deserve to be celebrated immensely! Sure I have a busy schedule, but the anniversary of your special event was something that I could never forget! This date marks the special day we use to gleefully commemorate your extraordinary start-up, and we wish you many more years of success! The odds were against you, but you were still brave and ultimately achieved your goal. That is why we continue to celebrate this day to the fullest! Many people may have forgotten what happened on this day last year, but I remember and want to assist you in thankfully commemorating your survival! You look stunning today. I hope that you have a wonderful anniversary. I know you’re not the partying type of guy, but today is such that we have to take time to make a toast! You are truly an inspiration to everyone who knows you, and today we all salute your dedication and success! I consider your anniversary a surprise celebration, because I never imagined you would make it for this long! Congratulations on your first year of victory, and I plan on adding -nials to this day for many more years to come! Happy anniversary, and I hope you thoroughly enjoy the vacation you and your partner will partake of. An anniversary is a perfect time to retake your honeymoon, and we are looking forward to the wonderful stories you will have upon your return! I hope that this particular day proves to be just as beautiful as the love your marriage has come to represent. I am delighted to have the opportunity to wish you my sincerest hope that you enjoy your anniversary to the fullest! Today is a wonderful occasion that we get to recognize annually, but I still hope that this year you will have your best anniversary ever! Still smiling smugly after all these years. On the day you started your business, the Lord answered your prayers, or else we wouldn’t be here holding these grand festivities today! Today I’ve decided to take your kids as a burden upon myself. After all, it is your anniversary! An anniversary is a time for us to reflect upon how blessed the years have been, and every time I look at you, I know that the heavens did smile upon you by providing you such a tender love. I can’t believe all of these years have passed us by, with fortune and grace following you throughout. Soon we’ll be celebrating your centennial! You have been fortunate to receive many blessings during your life, but none of those compare to the splendor of your wife! You have faced many difficulties and challenges throughout the years, which makes celebrating this special day so much sweeter for all of us who have shared your pain! Choosing your wife as your life’s partner is the wisest decision you ever made, and I’m glad to know that throughout all these years, she still feels the same. An entire generation dedicated to your cause has transformed your business into a viable institution, and I am happy to be here to bear witness of this momentous day! I don’t recognize today as much a celebration of your child’s birthday but rather a testament to your proficiency as a parent! Today may mean different things to different people, but to me, what makes it significant is the commemoration of your accomplishments. Love is not something we should take for granted, and every opportunity we get to honor true love’s inspiring contribution to our lives we should do so! You have triumphed where others have failed, so it is my pleasure to give you this humble yet sincere anniversary gift! I know that the story of your love is as timeless as the many years you two have spent together. I decided to hire a cleaning service to accentuate your home today. I know it’s not much but it’s just my way of saying happy anniversary! What makes anniversaries special are the number of days, indeed years, that go by in preparation of such lovely occasions, and I hope you feel just as proud of yourself today as I am of you! Millennia from now, people will write stories about the strength of your love, so I want to get my serenading on in the here and now! I love you so much that I’m going to enjoy your birthday with or without you! There is no date that brings forth sweet memories as much as today, and I’m looking forward to sharing them all with you! Hope you’re celebrating in style! Unfortunately I’m not in the position to buy the gift I envisioned but still did not want to let the day go by without acknowledging what you and this time mean to me. This is the most beautiful time of the year, where we dedicate our energies to praising your longevity as friends, lovers and parents. An anniversary is like a holiday you’ve personally earned, and on that note, may this be your happiest day of the year! I wouldn’t be your friend if this day didn’t mean as much to me as it does to you. Happy anniversary. Your level of maturity is something that I have long recognized and admired. Thank you for being a shining example of commitment to all the rest of us.